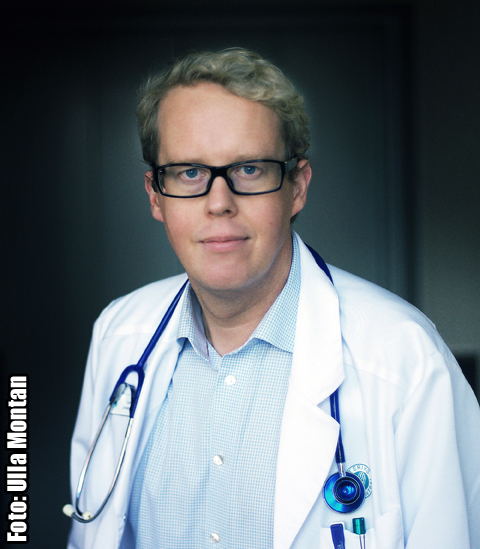 Swedish author Jonas Moström, welcome to TheCrimeHouse! Thank you! I look forward to an exciting visit. How do you get the idea to write a crime novel when you work as a physician? How do your colleagues view your writing? Many are impressed and they read my novels with a great curiosity – especially since the last two novels bring up two current topics in health care – active euthanasia and alternative medicine. Do you have a writing role model? My role models vary from day to day and from novel to novel, but some favorites include Dennis Lehane (Shutter Island), Åke Edwardson (Frozen Tracks) och Karin Fossum (The Indian Bride). Which was the first book you can remember reading by yourself? Hat Cottage by Elsa Beskow. It was dramatic with a fire, corporal punishment and a happy ending. Let’s say you go to the bookstore, what shelves do you look at, and how do you select a book? Of course I always look at recently published crime novels, but biographies and psychological books interest me as well. I choose a book after I’ve read the back cover and looked at a few paragraphs at random inside the book. It’s all about priorities. I don’t watch that much TV and I often do two things at the same time: like brushing my teeth and cleaning up after the kids. Besides I only work 60% as a physician. Do you let your wife read over your shoulder while you are writing? No, absolutely not. It’s just me and the text at that time. But when the first draft is ready I usually read it out loud for my wife. She’s my toughest critic. You have written a few novels about Erik and Johan now, are they bonding more and more, or do you think that they will get tired of each other? They’ll stick together. Johan only has one true friend and he’d be very lonely without Eric, especially considering the fact that he has difficulties with his relationship with women. If you were to let Johan solve the next crime together with another author’s literary problem solver, who would Johan want to work with then? Mons Kallentoft’s heroine Malin Fors. She and Johan would most likely have an explosive and rewarding partnership. Both of them are skilled homicide investigators and they’re very lonely people who look for confirmation in different ways. Let’s say that you were to write your next novel together with another author, who would that be? Karin Alvtegen. Her psychological problem formulations fascinate me. Please tell us about your experience with getting your first novel published, and if it is different when it is novel 2, 3, 4…? The first novel is like your first child: unique. Even though you like all your novels the same amount and in different ways, the element of surprise and novelty is obviously less when it’s your fifth novel. Finally – what can you tell us about your current writing project? Our readers are very interested in learning more about our Swedish authors, so many thanks for taking the time to talk to us! Thank you, it’s always nice to answer questions and get the opportunity to think about what you’re actually doing!